I would like to express my gratitude to Katano City Education Board (KEB) which has lent me photos of Katano’s cultural properties. Hence, all rights of the photos of this page are reserved by KEB. Photocopying and reproducing them are strictly forbidden without the written consent of KEB. 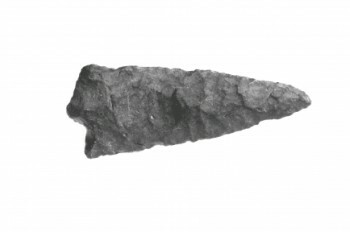 The nibs of stone spears found in the Jinguji Iseki (the remains of Jinguji) and the Yakegaito Iseki (the remains of Yakegaito) tell us that mankinds had already resided in Katano about 13,000 years ago. The nibs were used as tools for hunting and cooking. 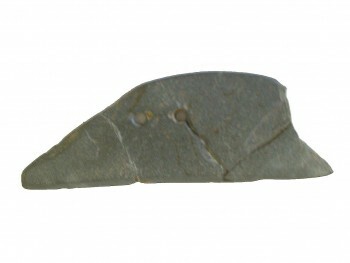 Moreover, the stone knives were found in the Jinguji Iseki and the Nogake Iseki (the remains of Nogake). 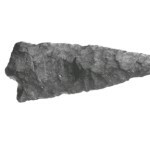 Since the Jomon period, people began to use stone arrowheads for hunting nimble animals such as wild boars, deers, and birds. They also made rope-patterned potteries for boiling nuts. 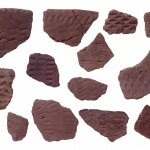 The potteries are called Jomon Doki (Jomon pottery). 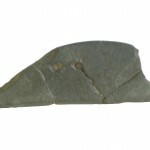 The bottom of Jomon Doki found in Jinguji Iseki is not flat but sharp. 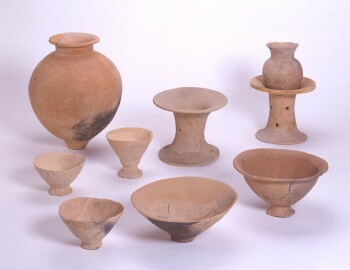 It is said that people in the Jomon period made such pottery for effectively concentrating fire on the bottom. 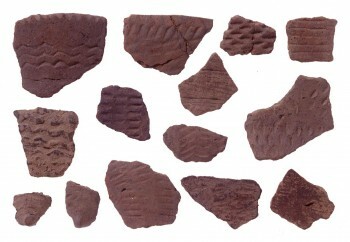 Jomon pottery of Jinguji Iseki were patterned by rolling small sticks. 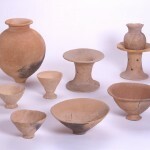 It was in Jinguji Iseki that such pottery were found for the first time. Therefore, they are called Jinguji Shiki Doki (Jinguji-style pottery). In the Yayoi period, rice cultivation was introduced from China to the northern Kyushu, and immediately diffused throughout Japan. Ishi Bocho (a stone knife), which was used for cutting rice ears, was found in the ruin of the Kisabe castle with Yayoi Doki (Yayoi pottery). 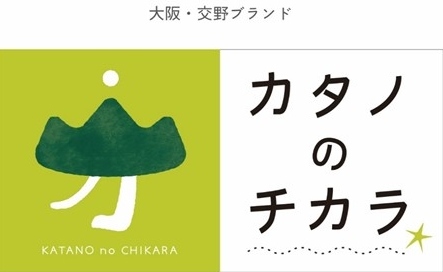 Katano City Education Board & Katano City Foundation for Cultural Properties (2002), Junior Bunkazai Guidebook 1 – from the ancient period to the Edo period, Katano City Education Board & Katano City Foundation for Cultural Properties.